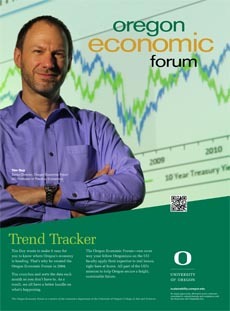 The University of Oregon Central Oregon Business Index was released today. Thanks to The Bulletin for support of this project. The regional economy started 2016 on a strong note. The Central Oregon Business Index rose to 137.7 (1998=100) in the fourth quarter compared to a 135.9 (revised) in the final quarter of last year. Component generally improved during the quarter. Compared to the same quarter last year, the COBI is up a 5.2 percent.